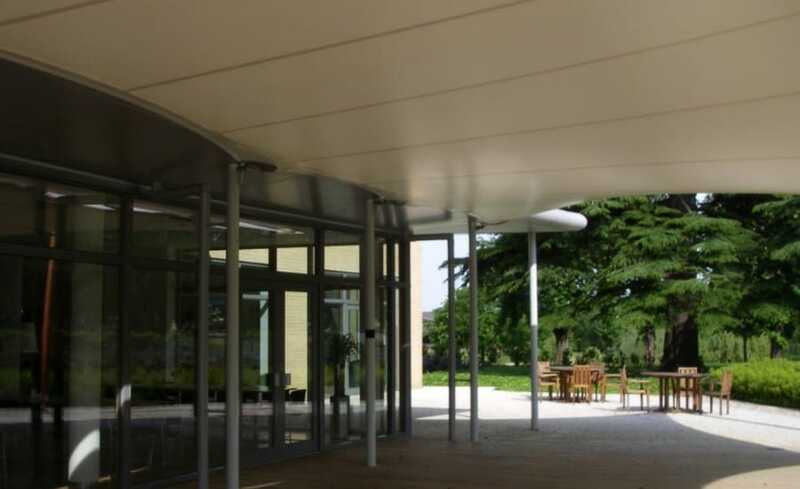 In a bid to liven up an otherwise mundane research centre, Architen Landrell was commissioned to design, engineer, manufacture and install a new modern bright fabric membrane entrance canopy to this facility along with a matching terrace canopy that overlooks a nearby lake. 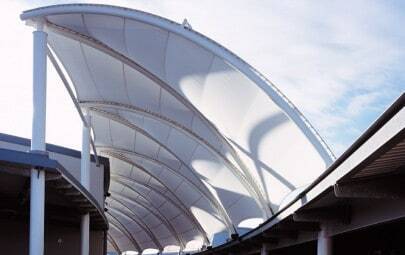 The structure consists of three PVC-coated polyester fabric panels above the entrance to the Central Facilities Building. 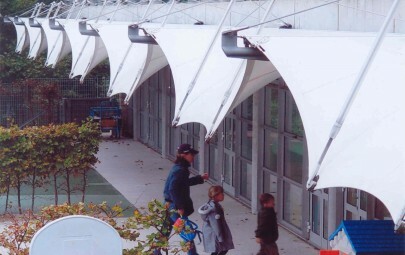 Architen Landrell designed the panels to upturn slightly to channel rainwater away from visitors and as a shelter structure. 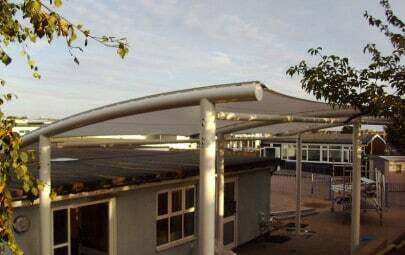 On the opposite side of the building stands the terrace canopy, yet another interesting addition to the site. 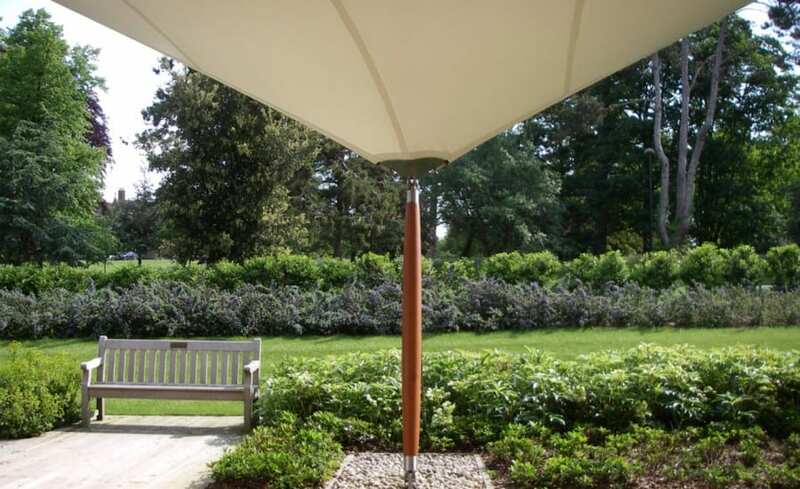 The similarly angular structure is supported by timber spars polished to form a sleek and stylish finish. 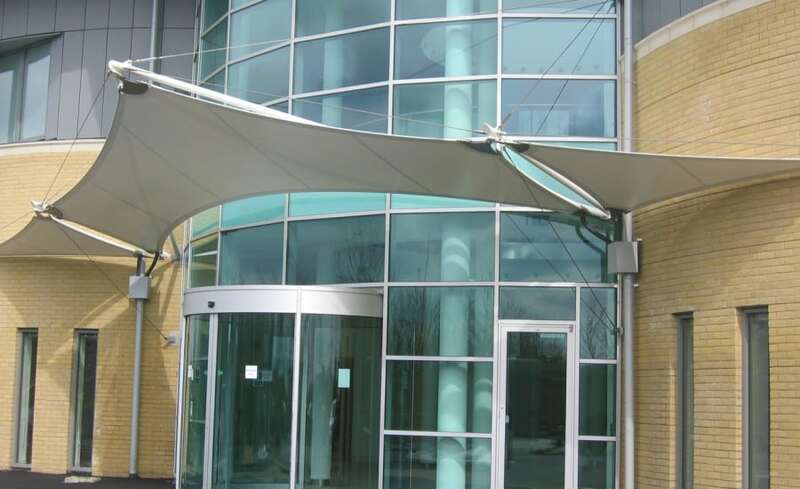 As with the entrance canopy, clever design ensures that rainwater is channelled away from the canopy and collected out of sight. 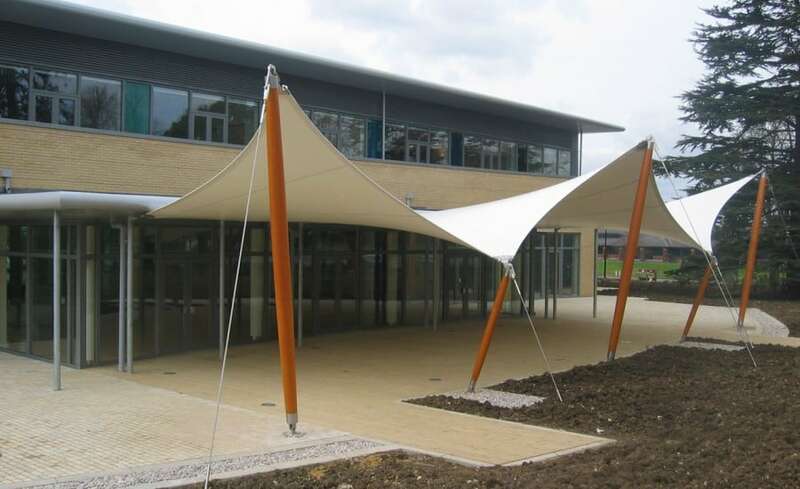 These stunning fabric canopies covering the front and back entrances to the facilities provide an example of the forward thinking and innovative approach of the staff at the centre and add a focal point to the building as a whole.